Home Ako Budoy Budoy Budoy Joke Budoy Poster Gerald Anderson Jose Manalo Primetime Bida TV series YouTube YouTube Video 'Budoy' Fever! 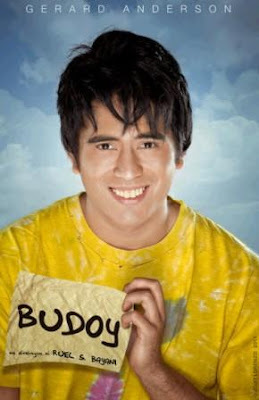 "Budoy," the Primetime TV series of Gerald Anderson now becomes a huge hit. Aside from being a consistent top-rater in the TV rating race, "Budoy" also becomes a trending topic in the world wide web. Aside from these, the comedian Jose Manalo also impersonates "Budoy" in one of the segment in "Eat Bulaga." Baby James : Yaya, am i normal ? Yaya : Of course! You're not like them. Why did you ask?! Baby James : i'm so confused. ... my ninong is tito boy,but he's not a boy! ... di kaya .. Ako Budoy ? !